Steven Johnson clinched victory in the final race of Round 2 of Paynter Dixon Touring Car Masters at the WD-40 Phillip Island SuperSprint. Johnson darted into the lead in his Mustang at the rolling start, from Camaro driver Adam Bressington, while John Bowe (Holden Torana) snatched third from Ryal Harris (Chevrolet Camaro) at the end of the opening lap on Gardner Straight. Cameron Mason (Ford Mustang), Jeremy Gray (Ford Capri Perana) and Jim Pollicina (Holden Torana) were involved in a squabble for eighth, with Pollicina taking ninth from Gray moments before a Safety Car intervention due to Gary O’Brien, who was running in the second half of the field, finding the gravel at the Southern Loop. The pack fanned out on the Lap 7 restart, as Thomas Randle (Ford Mustang) slotted into fourth and set off up the order. Randle drew alongside Bressington for second through Hayshed, but was on the outside and found himself running across the grass, rejoining ahead of Bowe. Bressington crossed the line in second but was given a post-race penalty which dropped him to fifth, behind Johnson, Randle, Bowe, and Gray. Johnson therefore takes an undefeated record in the full series points-paying races to Round 3 at the Truck Assist Winton SuperSprint from May 24-26. Zak Best prevailed in Round 1 of the Kumho Tyre Super3 Series as he and Hamish Ribarits made it three different winners in as many races. 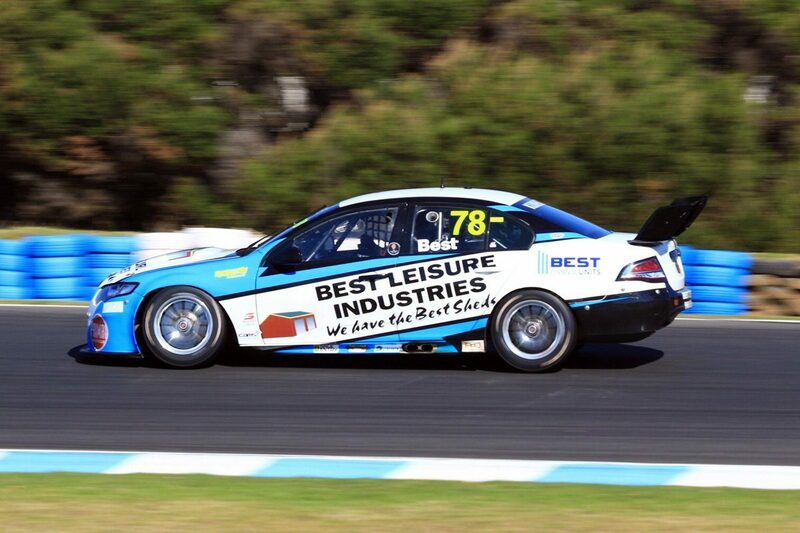 Best took Race 2 in comfortable fashion in his MW Motorsport FG Falcon, having pulled away in the seven laps which followed an early Safety Car. The intervention was required as a result of a hit between Mark Tracey (BA Falcon) and Garry Hills which was set off when Race 1 winner Broc Feeney’s Paul Morris Motorsport FG Falcon suffered clutch failure. Hills blazed up the grass next to Gardner Straight but his daring move came to naught when Tracey glanced Feeney’s left-front corner and was fired across the track into the West Australian’s VEII Commodore. 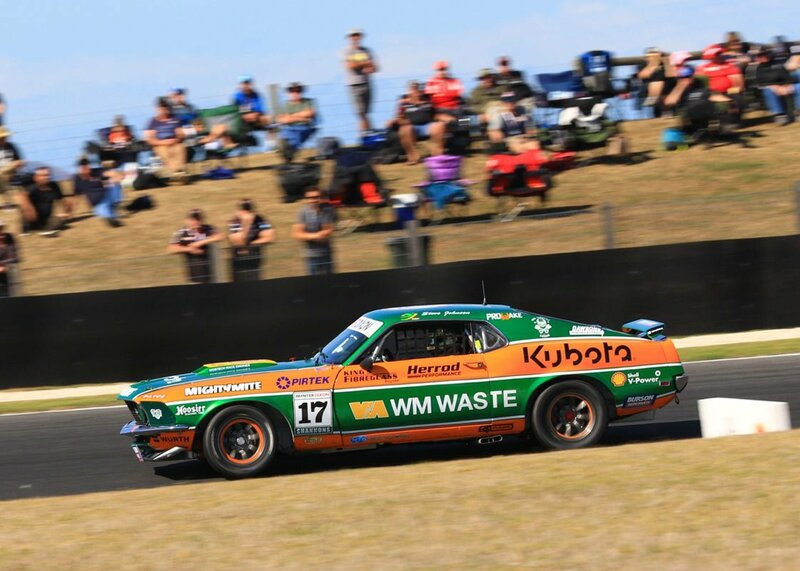 Nic Carroll made for an MWM one-two as he held off fellow FG Falcon driver Matt Powers (Aussie Driver Search) while Feeney pitted for a replacement wheel and still finished seventh. In Race 3, Feeney’s attempt to take the lead from Best on Lap 2 saw him instead lose a spot to Ribarits, who was piloting yet another MWM FG. Each got by best in the laps which immediately followed and they remained in that order for the balance of the 12-lapper. Carroll was on for fourth until he had a tyre let go and that position ultimately went to Powers after he usurped Jayden Ojeda (Anderson Motorsport FG Falcon). Round 2 of Super3 also supports the Winton SuperSprint. Declan Fraser and Jaden Ransley shared the spoils in the final two races for the Toyota 86 Racing Series. In Race 3, Brook had the overlap in the opening few corners and snatched the lead away from Ransley as Declan Fraser swung into second. 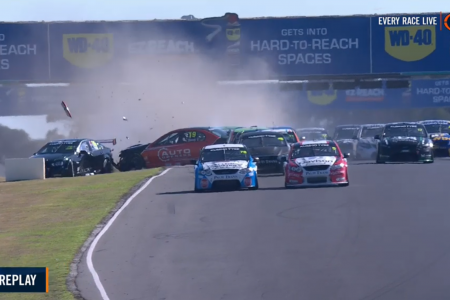 Garth Tander got by Ransley as well into third, while Fraser slipstreamed into the lead on Lap 2. There was an incident at MG on Lap 1 involving Leanne Tander, Gerard Maggs, Graham Smith, Zach Loscialpo and Harley Phelan, but it was dealt with under local yellows. Out front, Fraser managed to build a cushion and grabbed the Race 3 win by just over a second to Brook, Garth Tander, Aaron Borg and Luke van Herwaarde. Jarrod Whitty, Ransley and Liam McAdam bumped into each other late in the race while battling just outside the top five through the Hayshed, sending the former two off the road, with Ransley becoming beached in the gravel. It was a contrast to Race 2 when Ransley emerged victorious after a thrilling battle for the win with Brook and Garth Tander which saw the trio three wide at times. Tander sailed around the outside of Brook at Doohan Corner on Lap 1, before they swapped places again on Gardner Straight as Brook and Ransley slipstreamed past. Ransley then moved into the lead as the battle erupted, but he managed to take the chequered flag in front of Brook and Garth Tander, with Leanne Tander 19th. The second round of the Toyota 86 Racing Series will be at the Watpac Townsville 400 from July 5-7.